White House Travel Office Scandal? Whitewater? The Lewinsky “Right Wing Conspiracy?” BENGHAZI? The amazing disappearing email trail on Hillary Clinton’s under-wraps email server? The unexplained millions behind the Clintons’ enormously wealthy foundation? 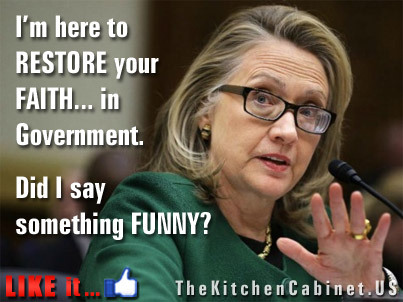 Perhaps the Clintons plan on a New Age of transparency.